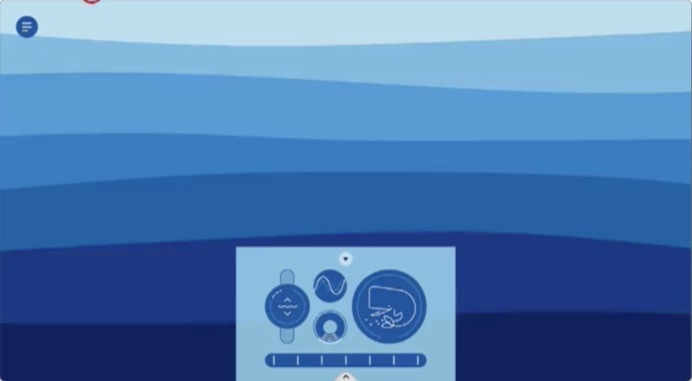 Don’t even waste the 19 seconds that this screencast takes, just head over to WhaleSynth – A Unique Musical Experience and make some whale sounds. Via kottke. Lovely in many ways. 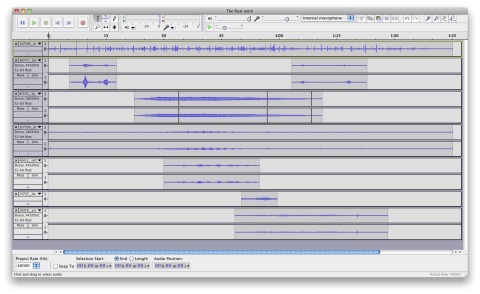 For this assignment, combine audio effects into a soundscape to represent a place or an event. This assignment may not be suitable for all educational areas, so please feel free to create a soundscape for a scene from a favourite book or a poem, or come up with another idea. All licensed under the Attribution License. Took me a while to figure out a text. Limited my searching to Freesound to save time. Downloaded a bunch of files and loaded them into audacity. Just sliced, changed the volume, and made some fades. This is a good fun assignment that I’d really like to try in a classroom. Would need plenty of time as I guess this is the best part of 3 hours play for me. A fair bit of this was being distracted on freesound. The only tip I can offer is only tangentially linked to the task and mac only. To gather the links for attribution I open the links in a set of tabs in Safari and then run a wee AppleScript this puts a list of html links to each tab on my clipboard, paste into TextMate and wrap in li tags. (I use FastScripts for running applescripts).